Limoncello, Start now, and have a bottle by summer!! So I have been doing the opposite of blogging. Which is… not blogging. I deleted the app from my phone and took a short break to…. get the creative culinary juices flowing? (be lazy) It is February, and in appoximately 3 months it will be closing in on summer, and the sun will once again grace us with its presence. It is time to prepare!! A few months ago my mom and I got together and made a batch of limoncello for her winter reserves. I’ll have you know, as my mother has gotten older, she has actually proved time and time again, that she is far cooler than me. That being said, we started our first batch (together) of limoncello, and in the early throws of winter she provided me with a small bottle of deliciousness to get me through the cold months. In order to get that delicious flavor that I have come to love, there is a waiting period of almost 3 months. Yes my dears, MONTHS. It does not take days to make, nor does it take weeks. Its a labor of love, patience, and self control that takes about 80 to 100 days to create, puting us into mid may. Perfect timing to uncork, unseal and enjoy the fruits of our patience. There are specifics that you must know. First of all, you use the rind only. None of the white pith. That will create a slightly bitter taste. Second, its time to go organic. I like the idea of organic food, and I’m certain I should be eating more of it, but for this purpose I’m using the outer layer only and its exposed to every spray and toxin they use to spare it from the critters that prey on citrus fruits. 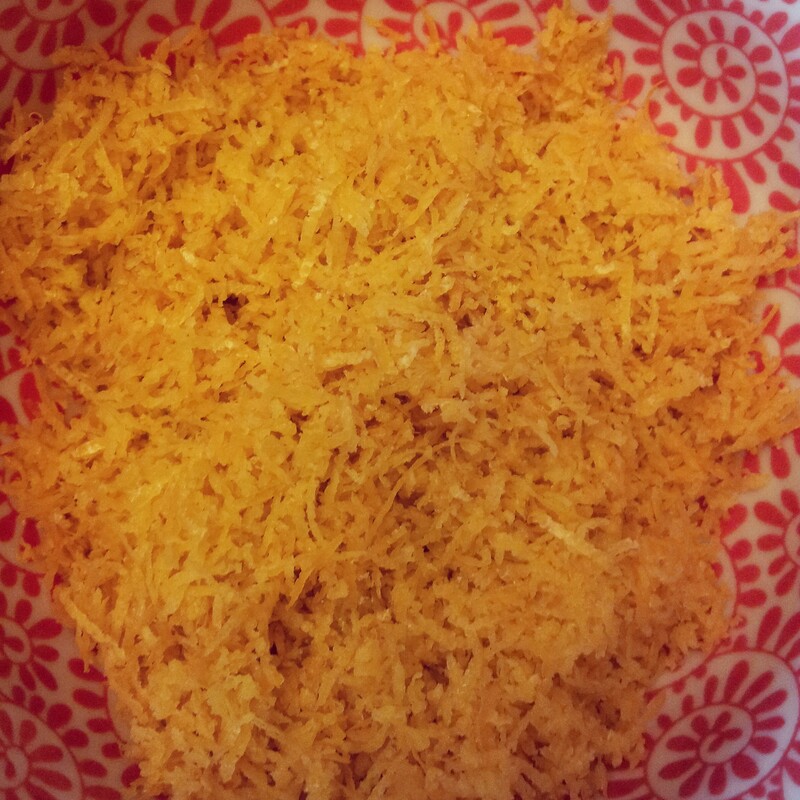 Zest your 20 lemons removing just the rind. Add them to a bottle that you can seal, and pour in the vodka, leaving enough room to add in your simple syrup in 40 days. Store your limoncello in a cool dark place until you’re ready to add in your simple syrup. 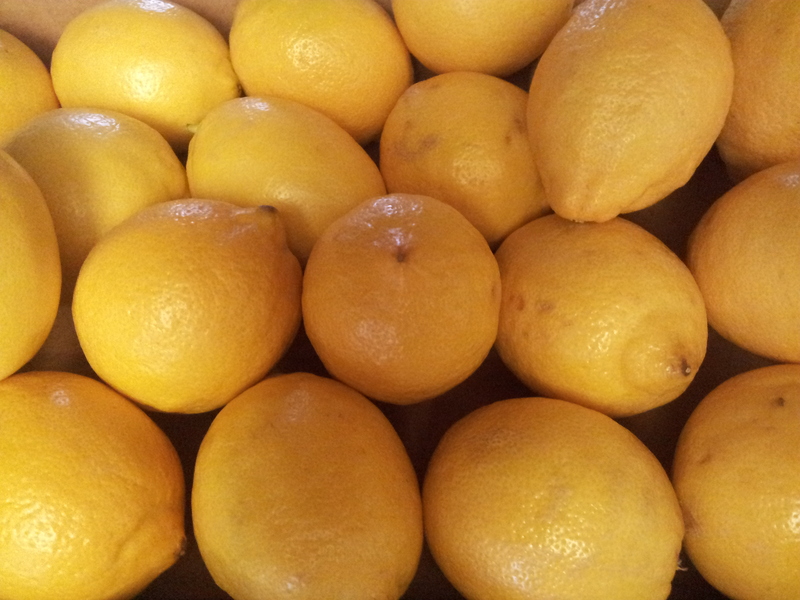 About halfway through your zesting process you’ll realize that you need to use 20 lemons in a short period of time. Fret not my friend! Juice your 20 lemons and make lemon ice cubes. You can store them in baggies to avoid freezer flavoring, and add them to your drink for an extra splash of amazing. Bring your water to a boil, and slowly add in the sugar until it dissolves. Remove it from the heat, and allow it to cool. While the syrup is cooling, strain your vodka, removing the rinds. 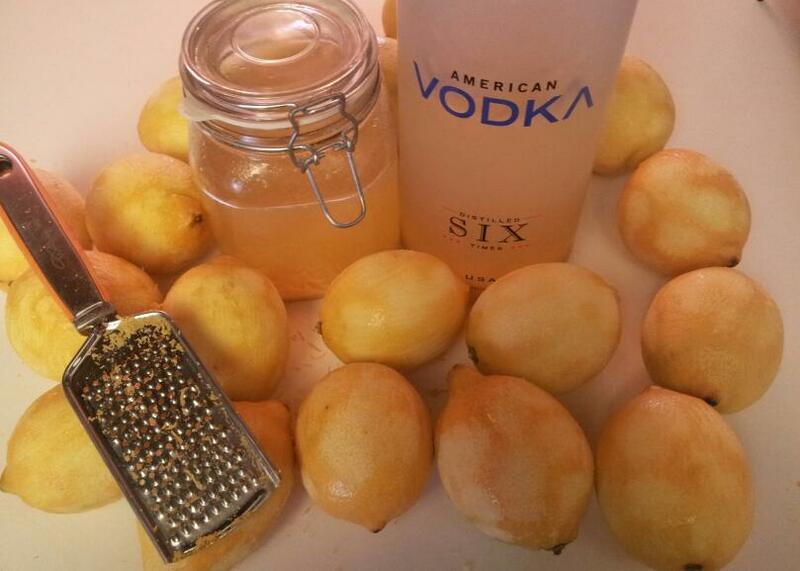 Add the simple syrup to your vodka and reseal it. Place it back in your hiding place, returning every once in a while to give it a little shake to stop the sugar from accumulating on the bottom. After 40 days you are ready to bottle/drink it. It feels like forever, but it is well worth the patience and effort. Enjoy!! With the most holy of drinking holidays quickly approaching, its time to prepare your party menu. Step aside green eggs and ham. You’re gross, you taste like disappointment and bad hangovers. Sausage rolls are far better for your party, and people won’t think that they are back in the first grade. 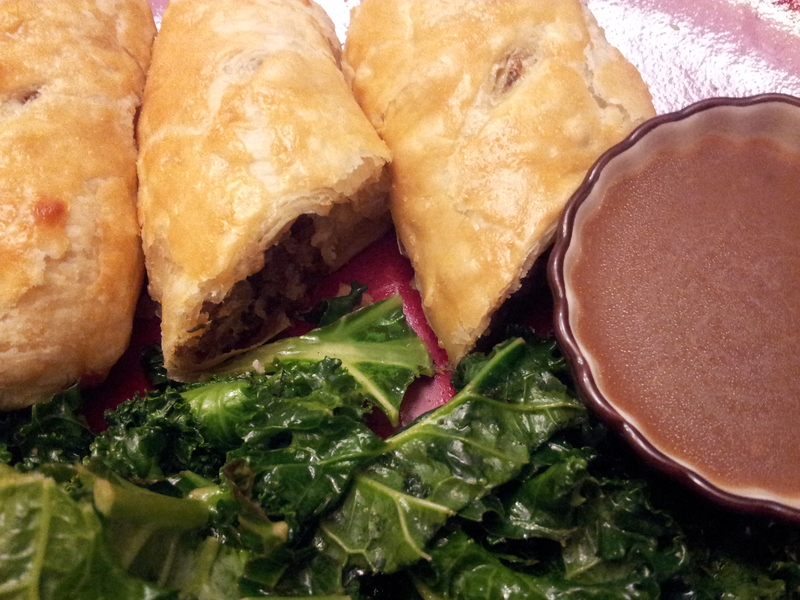 These flaky sausage rolls are an easy addition, and the sauce compliments them perfectly. Brown your sausage with garlic and onions over medium heat. Add the fresh herbs, Worcestershire sauce and salt and pepper. Let that simmer for a few minutes and add in the flour until your mixture is coated. Remove it from the heat, save approximately 1/4 cup of the mixture for the gravy, and set the rest aside to cool (about a half hour). 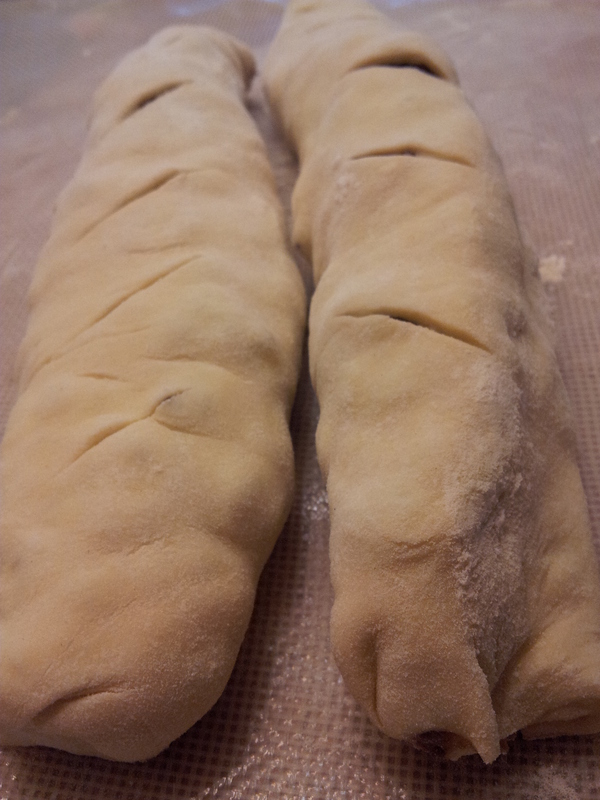 Roll out your puff pastry into a thin square and place two long mounds of the sausage mixture on it. Fold the pastry over the top of the sausage and seal it with a bit of water. Brush the top of the pastry with a whisked egg, and bake it at 375 for 30 minutes or until the top is brown and flaky. Using the meat for this makes it a cinch, because all the necessary flavors, and thickeners are already in place to get it going. 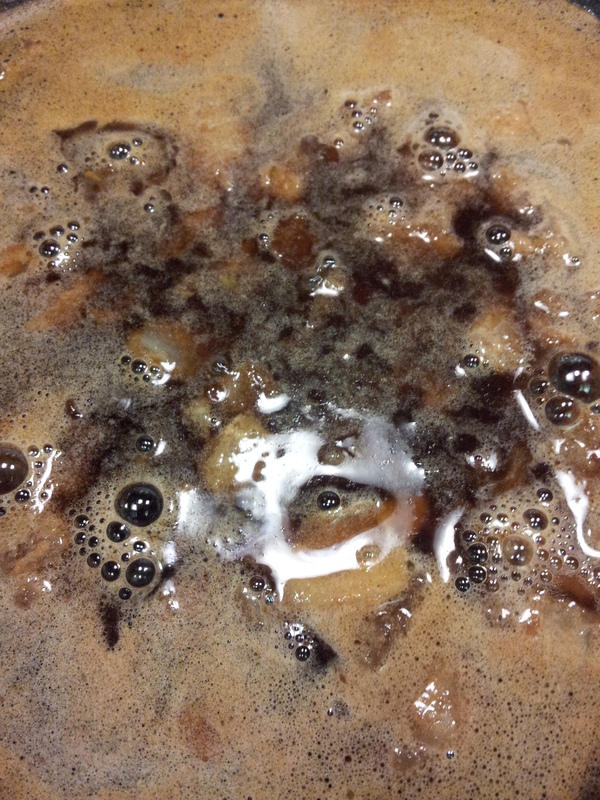 Bring your au jus and Guinness to a light simmer until the alcohol cooks off. 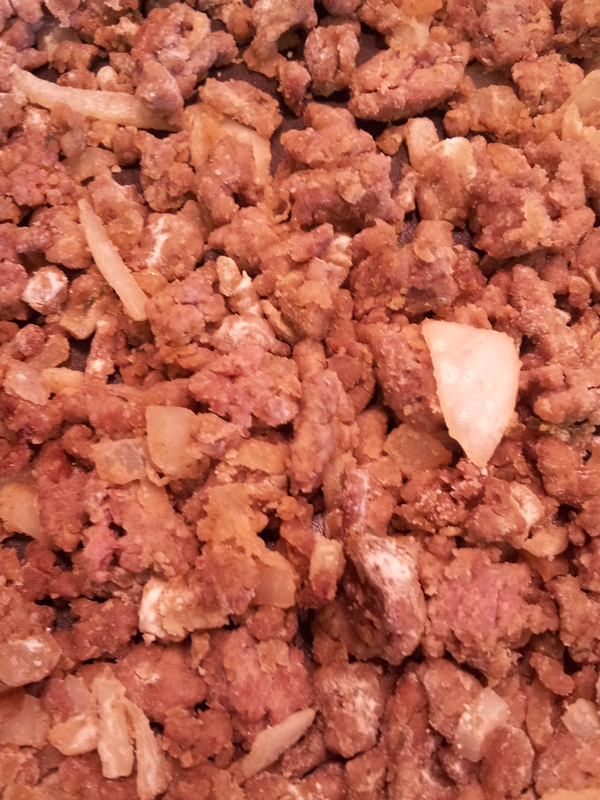 Add in your sausage mixture and stir, until it reaches your desired thickness. Slice up your rolls at 3 to 4 inches in length and serve it with your gravy. There’s a new kid in town on the Seattle cider front. Its starting a delicious invasion into our local pubs and challenging your taste buds, to ever consider stepping back into the realm of angry orchard or crispin. Both are excellent choices but this little gem brings a touch more to the cider front. This weekend we took a little valentines day trip to Leavenworth. We spend a bit of time every trip wine tasting. Not going to the vineyards but heading into the quaint little shops and trying the local drops. We found a new one. Matterhorn tasting cellars. It has a fairly awesome decor on the inside, and in general that really doesn’t mean that the wines on the inside are going to be all that great, but this time it really set the mood for what they are selling. Its rather dungeonesque. I do full heartedly recommend stepping in.,, I wasn’t disappointed by any of the wines I ended up tasting in there. After a few tastes, the Attila was added to our glass. Now generally ciders here will run you about $7.99 for a 6 pack. 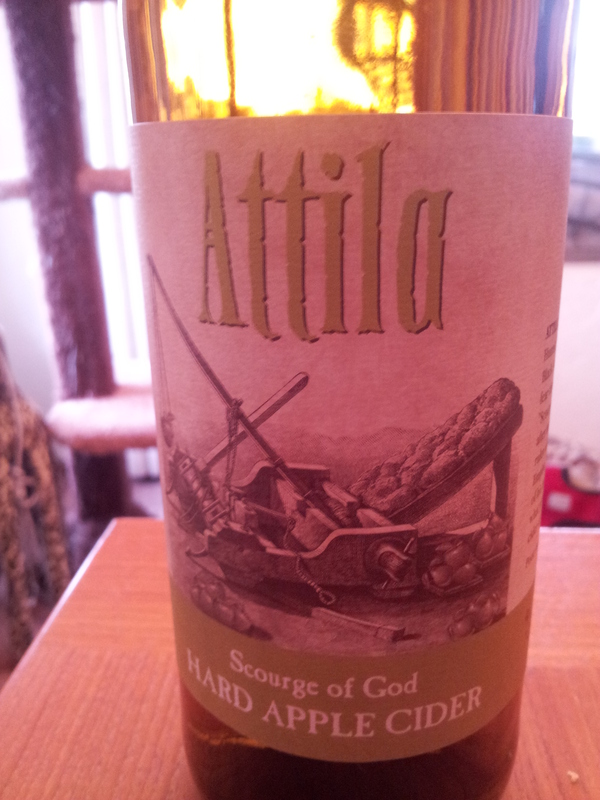 Atilla is a bit more at $25 for a 4 pack (large bottles). WORTH IT. Its sweet, but not so sweet that it makes your salivary glands pucker, and it goes down smooth. Another thing I noticed was that it was almost completely clear. This cider is hardly a scourge of the gods. In fact, I’m almost certain this cider will please them deeply, and they will grant you offspring, or an extremely productive harvest for this offering. I’m hoping with all my little hopes that this cider goes on tap at all my favorite haunts.